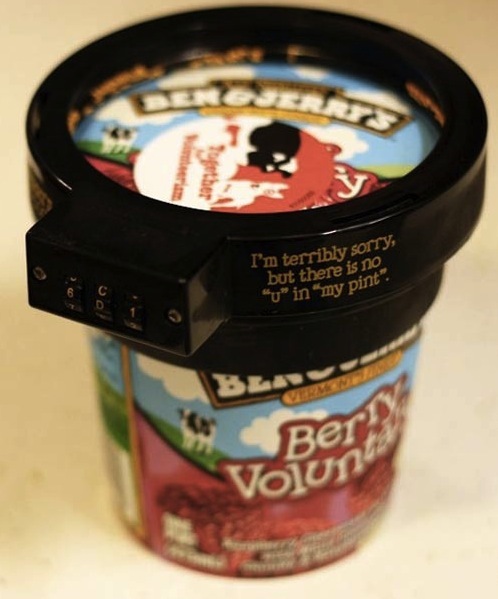 There’s nothing worse than discovering that the ice cream you left in the freezer has been eaten. 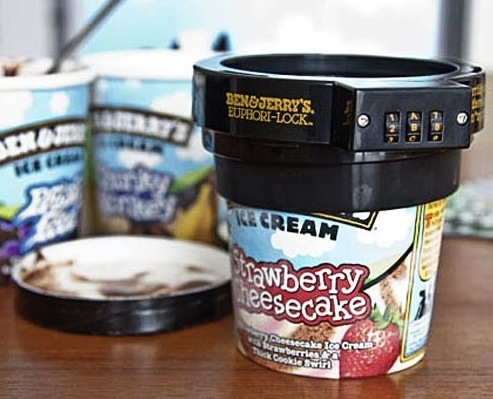 To keep your ice cream safe from your loved ones, Ben & Jerry’s has brilliantly created a gadget that lets you lock and secure your ice cream pints. 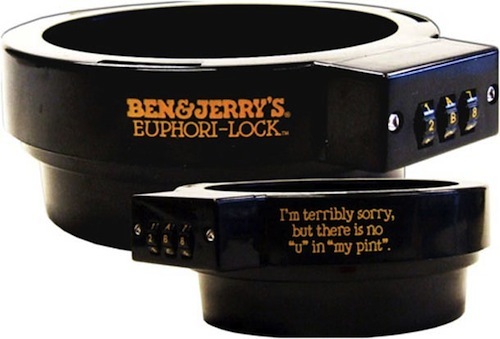 Called the ‘Euphori-Lock’, the combination lock attaches directly on to your Ben & Jerry’s pint, and requires a correct code to open. Euphori-Lock was thought up by a fan, and will be available soon.